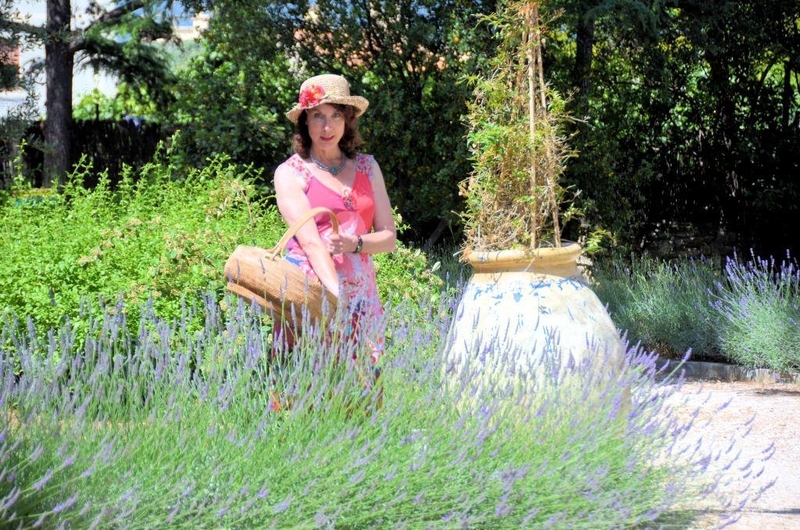 Our lovely Antiques Diva Guide in Provence is Caren. Today she’s sharing a bit about why antiquing is so much more exciting than simply shopping big box stores—especially in Provence where markets have constantly changing inventory! She even shares some of her favorite places to score antiques. “Antiquing… it’s so much more exciting than just shopping. It’s like looking for hidden treasure. You’re never sure what you will find and it’s often not in plain view, but when you discover the right piece, you know it’s a keeper. For most of us, shopping is a chore. Not so with antiquing. In a world where so many of the stores pump out the same old, same old, it is a breath of refreshing air to be in Provence with daily possibility of shopping at a market. And remember, nowadays, even top fashion houses are looking to combine shabby with chic. When you’re antiquing you won’t see the same brand names that are found in high streets, airports and shopping malls the world over. The French markets are a daily and weekly delight, brimming with fresh local produce and handicrafts. If you’re looking for a bargain or something that won’t be found in any of the high street shops, it’s the Puce or Flea markets, the Brocante (Second Hand goods) and the Vide-Greniers (literally, Empty Attics,) which are the ones to seek out. 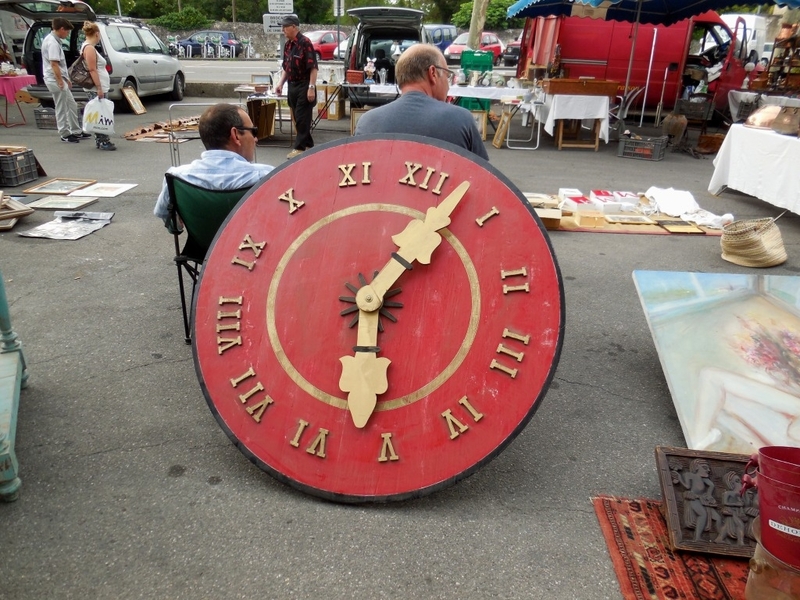 Some Flea Markets take place on a regular basis and the stallholders are mostly professional dealers, but the Brocante and Vide-Greniers sales tend to be held only occasionally. Vide-Greniers normally attract private sellers who in the UK might attend a Car Boot Sale or in the US would hold a Yard Sale. 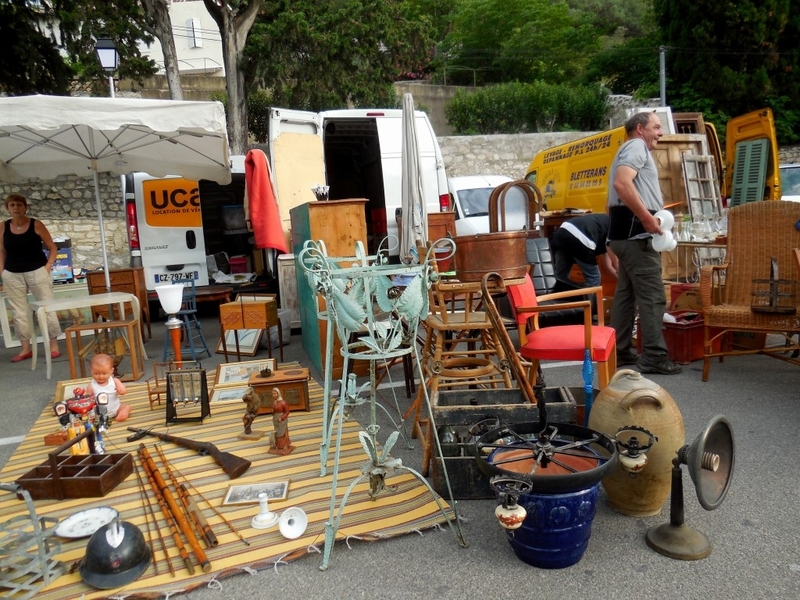 Really big Vide-Greniers may attract hundreds of sellers and thousands of bargain hunters. This is the place to find collectables or pick up a bargain— something that you won’t find at any chain store. 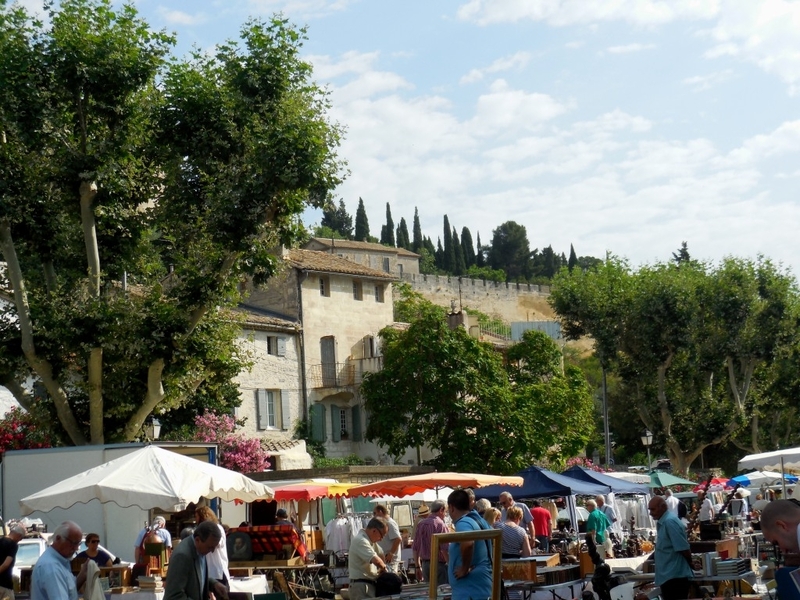 The great news is, that if you’re in Provence, there’s a flea market to be found every day of the week. Here’s a list of some of the Antique markets. One of my favorites is held every Saturday morning across the Rhone from Avignon. Moderate in size, it is held in the car park underneath the ancient fortress of Villeneuve. Between 80 and 100 vendors set up here, offering a wide range of items, many with a focus on Provence. Buyers who own shops in the near-by Isle sur la Sorgue come here in search of a bargain. Provençal ceramics, pots, linens, agricultural tools and clocks. A great market where you might well make an interesting discovery, and at a reasonable price. Carpentras is approximately 30 km north of Avignon. Late on a Sunday mornings a delightful flea market unfolds in a lovely tree-lined parking area– parking des Platanes. It starts around 10.00 am and it’s a preferred meeting place for some of the more serious collectors: those who a happy to do their own digging. Here you often have to rummage through boxes and crates to find your treasure. Between 130 to 150 vendors set up and often, they are selling their own belongings, which fall more into the category of “second-hand” than “collectable”. The variety in terms of wares and prices is huge, with an emphasis on the rustic and every day, rather than on up market decorative objects. If you are looking for something really unusual and surprising, this is one of the best places to find it, though you will have to expend some energy in the process. This is the perfect flea market for someone to dig around and hunt for something special and affordable! There are about 200 vendors here until to mid-afternoon. 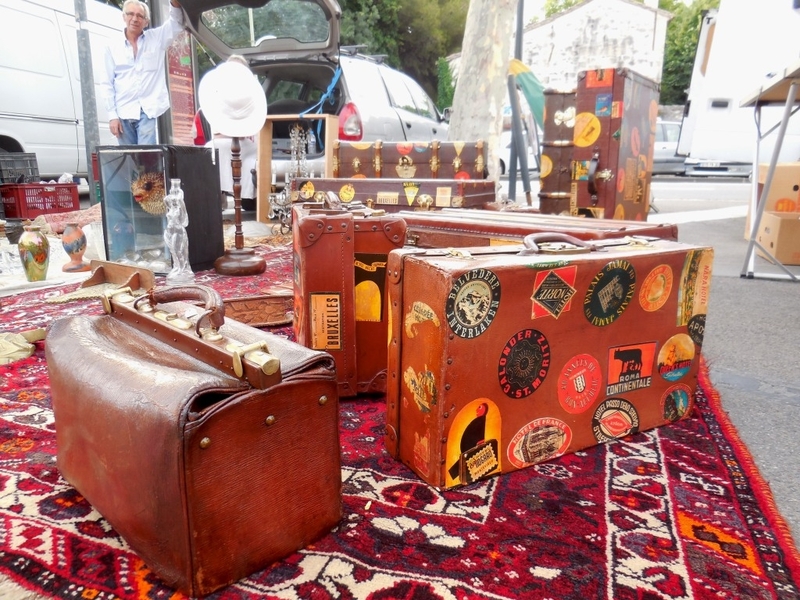 Cours Saleya is just behind the Promenade des Anglais and it’s a great place to rummage. The market is mostly high quality, but treasure hunters can often find a special something. Many items have also found their way here from across the Italian border which makes for an interesting mélange and some vendors speak English, as well as Italian. Lots of silver, vintage clothing, posters, nautical and travel items and ceramics. If you would like more information on an Antiques Diva Provence Tour, email us at info@antiquesdiva.com. Au revoir et Bonne Shopping!